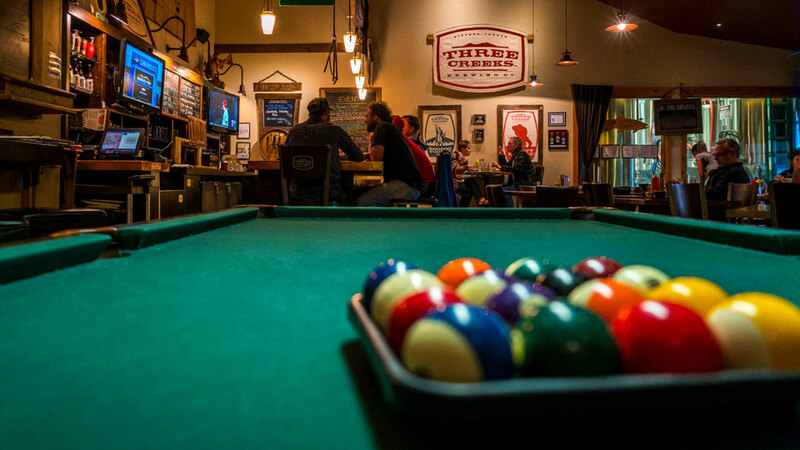 Three Creeks Brewing Company, located just over 20 miles northwest of Bend in Sisters, believes in blazing a trail of uncompromising brewing perfection. Using skill, heart, and only the best stuff to brew their beer, like the finest malts from around the world, Oregon famed hops right out our doorstep, and pristine water from the Cascade Mountains, because they believe how a beer is made and what it’s made of matters a lot. They also believe tasting and seeing is believing, so you can visit their production brewery from June through September on Fridays and Saturdays from 3:00 PM to 7:00 PM, sample some beers in their tasting room, as well as challenge your friends to a game of horseshoes or washer toss. They also have a brewpub located at the FivePine Campus on the edge of the town serving starters, salads & soups, pizza, entrees, burgers, sandwiches, kids/lite fare, desserts and a range of beverages in addition to their beer. Open Sunday – Thursday from 11:30 a.m. – 9:00 p.m., and Friday – Saturday from 11:30 a.m. – 10:00 p.m. Explore What's Near Three Creeks Brewing Co.